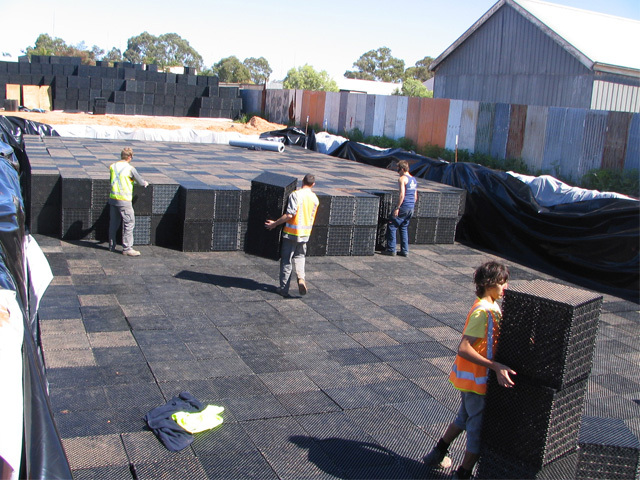 CelluTank has strong plastic modular construction using post-consumer, recycled materials, which provides an efficient, at-source rainwater collection for retention, detention and infiltration solutions. It is ideal for managing water from roofs and impermeable surfaces including driveways, playgrounds and parking areas. 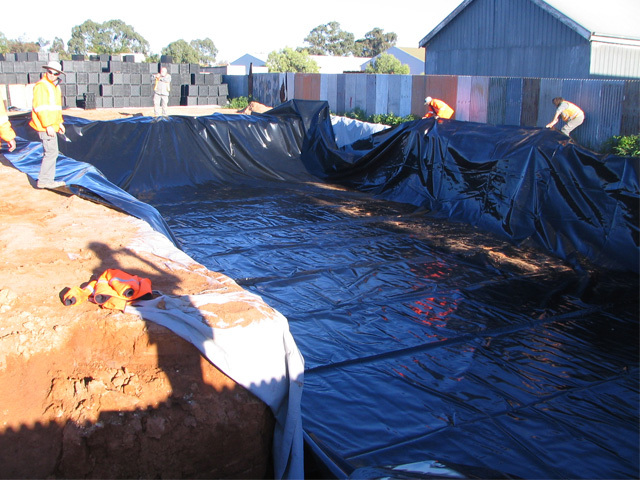 The plastic modules are designed to allow sub-surface storm water infiltration or detention. Water captured by the system can also be used for irrigation and other non-potable purposes. Once positioned in-situ, the large CelluTank modules can produce greater stability, compared to the smaller competitor products on the market. They are particularly effective for use under parking lots and driveways. CelluTank storm water tanks are available in varying load-bearing capacities and are suitable for individual houses, right up to large commercial and industrial projects. Load bearing capacity can be increased beyond this by using additional proprietary “stabilisers”. CelluTank modules are easy to install on site – simply clip the strong lightweight interlocking panels together. Ease of installation reduces assembly costs – costs that are easily incurred with competitor products. Once assembled, the units can be interlocked vertically, ensuring system stability even under high traffic areas. 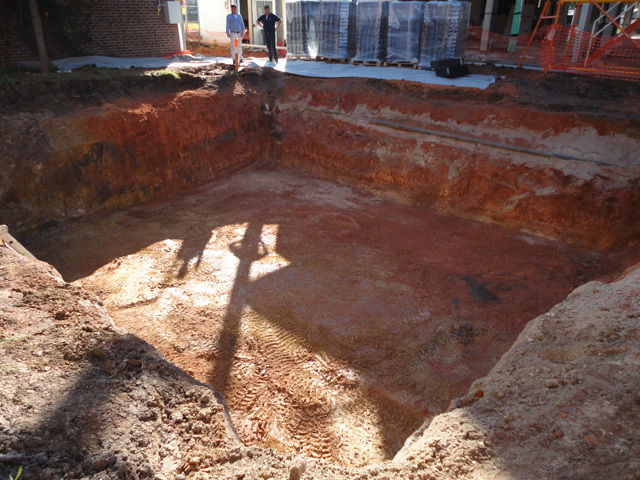 CelluTank modules can accommodate the insertion of a 90mm flushing pipe at the base of the system once installed. 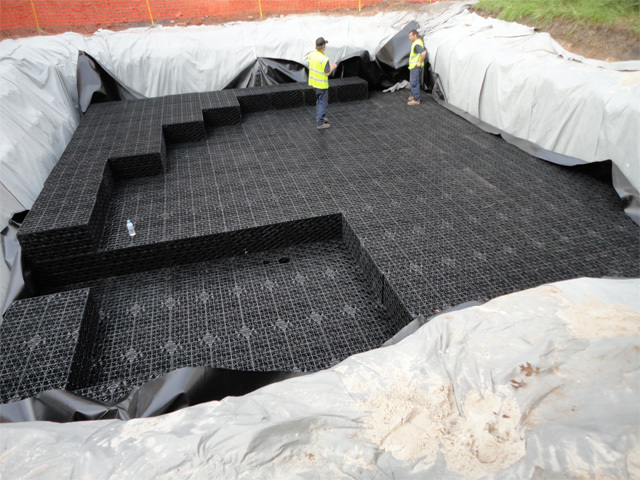 VersiTank provides a sub-surface infiltration, detention or storm water storage solution. A heavy-duty tank of plastic construction using post-consumer, recycled materials. VersiTank storm water tanks are an ideal at-source rainwater management system, efficient in the storage of rainwater from roofs and impermeable surfaces such as sports fields, playgrounds, driveways and parking areas. Their modular format allows tanks to be constructed in any configuration and with various load-bearing capabilities and is suitable for small projects such as individual homes right through to large industrial and commercial developments. It is also possible to increase the load-bearing ability of VersiTank storm water tanks by using additional proprietary “stabilisers”. Easy assembly is possible by clipping the interlocking panels together. Once the units are assembled, they can be interlocked horizontally and vertically, so you can be assured of increased system stability – even under high weight bearing loads.